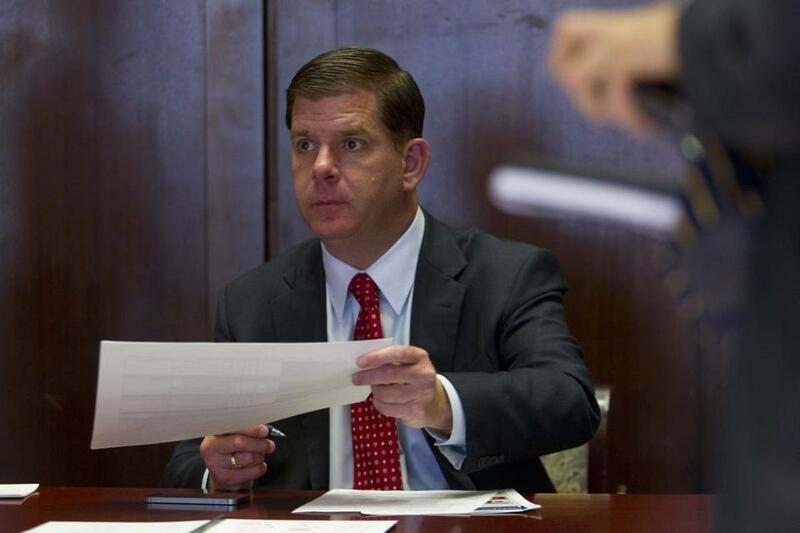 Mayor Martin J. Walsh vetoed a $20,000 raise for city councilors Friday, rejecting a pay package overwhelmingly passed by the City Council and setting up a potential showdown between Boston’s new mayor and the city’s legislative body. In a letter filed with the city clerk, Walsh wrote that he wanted to take a comprehensive look at salaries for councilors and other top city officials. The mayor said he planned to resurrect the Compensation Advisory Board, a panel of mayoral appointees designed to make impartial salary recommendations. Walsh said he will appoint new members to the board with a 90-day mandate to make salary recommendations. In an interview, Walsh said the paramount issue for him was the way in which the City Council sought the raise. The council had settled on an annual salary of $107,500. The mayor’s veto came after two weeks of deliberation within his administration and a dispute about whether Walsh has the final say on council raises. Walsh’s administration has said the council does not have the authority to override the veto, an assertion disputed by several councilors. The proposed $20,000 pay hike would put some in Boston’s City Council into the highest income brackets in their districts. Bill Linehan, president of the City Council, said Friday he was pleased the mayor noted in his veto that the council was a “vital partner” in city government deserving “some upward salary adjustment.” Councilors need time to absorb Walsh’s message and determine their next step, Linehan said. “All options are open, including working with the mayor and other council procedures that we have,” Linehan said. The council voted 9 to 4 earlier this month for the $20,000 raise. The margin appeared to give councilors the two-thirds majority needed to override the mayor. The city’s corporation lawyer, Eugene O’Flaherty, issued a statement the next day saying that the council lacked authority to overrule the mayor on spending issues. O’Flaherty is a close confidant of Walsh’s and was appointed by the mayor. Some longtime City Council observers agree with O’Flaherty’s legal analysis, including Samuel R. Tyler, president of the Boston Municipal Research Bureau since 1983. But some councilors and other political observers contend that because the raise would not take effect until 2016, the ordinance did not appropriate money and therefore was not technically a spending issue. The ordinance Walsh vetoed would have increased councilors’ pay 23 percent from their salary of $87,500. Councilors have not received a raise since 2006, and many said it was long overdue. Councilor Stephen J. Murphy pushed for the raise and said Friday he was personally disappointed the mayor rejected the measure. The Compensation Advisory Board will offer an outside review of any proposed pay increase, Murphy said, but it will not fix the underlying problem. Councilor Josh Zakim, who voted against the raise, said he would continue to push to eliminate the council’s role in setting its salary. Zakim said he would be interested in giving the Compensation Advisory Board authority to set council pay. Earlier this year, Linehan proposed a $25,000 raise, which would have immediately increased council salaries to $112,500. The State Ethics Commission objected and told the city the vote would violate the law unless the increase was delayed until after the next election. Walsh then threatened to veto the ordinance because he said the raise was too large. Councilors voted to postpone the raise until 2016, following the next election. They also reduced the size of the raise by $5,000, but Walsh thought the council salaries would still be too high. Walsh took office in January and vowed a new era of cooperation with the City Council, a 13-member body with little overt power that had been dominated by longtime mayor Thomas M. Menino. But the two branches of government have already clashed, most notably over the budget for Boston’s public schools. Walsh’s first school budget passed 7 to 6, an usually close margin for a mayor’s budget in Boston. Councilors who voted against the budget objected to transportation cuts that forced some middle school students to take public transportation instead of yellow school buses. 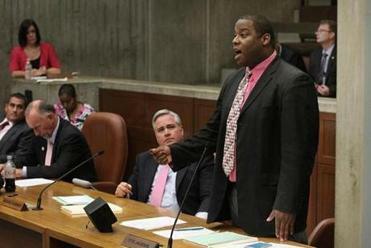 But with his veto of the councilors’ pay increase, Walsh risks alienating some of his allies. The seven councilors who voted in favor of the school budget include some of the staunchest backers of the raise.